What is NC 4-H Honor Club? 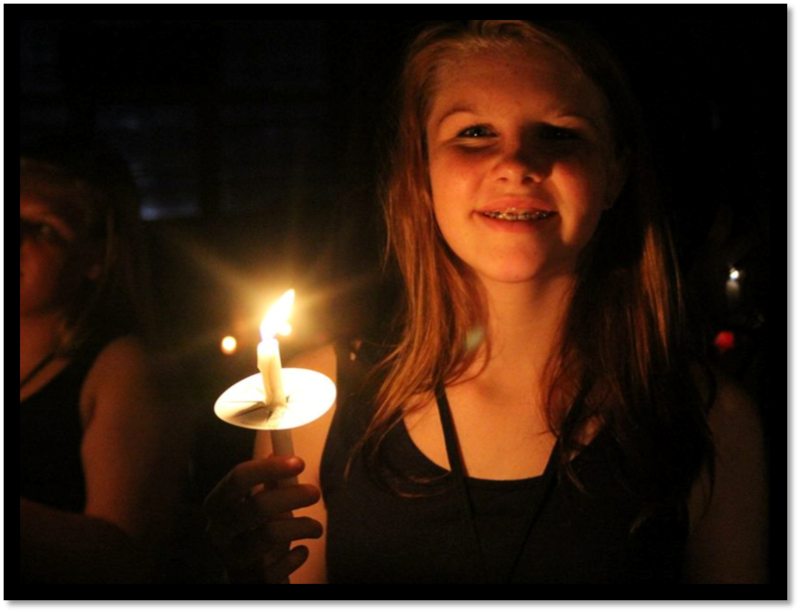 A new Honor Club member participates in the annual Candlelight Clover Ceremony. Membership in the North Carolina 4-H Honor Club is bestowed upon 4-H’ers who have exhibited outstanding 4-H citizenship, leadership, and service throughout their 4-H career. An Honor Club member continues to provide leadership and service to the total 4-H program throughout life. Honor Club applicants must have completed three (3) or more years of 4-H club work, must be at least sixteen (16) years of age and not more than twenty (20) years of age as of January 1st of the year of your application, and must show a commitment to being involved in 4-H after they age out of the program. The total number of applicants inducted into the NC 4-H Honor Club each year shall be limited to one-half of one percent (0.5%) of the current enrollment of North Carolina 4-H members, or forty (40) members, whichever is greater. To become a member, selected applicants must be in attendance during the Tapping Ceremony at the Saturday evening assembly at 4-H Congress. New inductees will be expected to pay one-time, lifetime dues of $55 the year that they are inducted. To be considered in good standing with all rights and privileges of membership, new members should pay dues at 4-H Congress, or if their county is paying, no later than September 1st. After December 31st of the year inducted, dues increase to $85. New inductees are responsible for making sure the lifetime dues are paid. Please contact Sarah Dietrich at (919) 851-2550 for any questions regarding membership dues. Note: The amounts for lifetime dues reflected on this page took effect January 1, 2019 and apply to all 4-H Honor Club members applying for Honor Club in 2019. This amendment to the Honor Club By-Laws was voted on and passed at 4-H Congress 2018. Honor Club members who were inducted at 4-H Congress 2018 still fall under the old requirements; these members pay lifetime dues of $50, and after December 31, 2018, dues increase to $75. Learn how to apply for membership by clicking here.